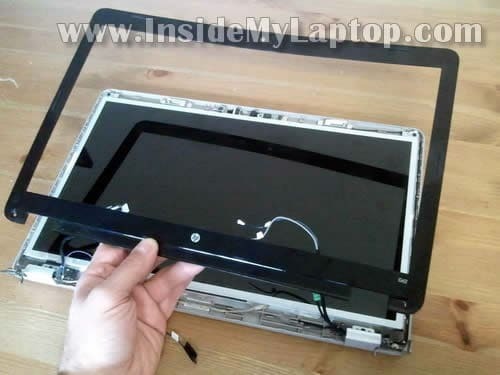 In this guide I show how to remove and replace the screen on HP G62 or Compaq Presario CQ62 laptops. 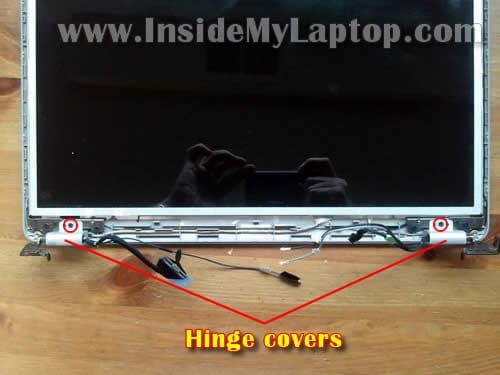 Also, you can use this guide for replacing failed video cable or replacing damaged hinges. 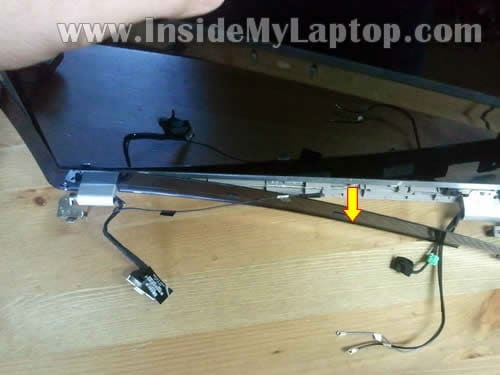 The display panel has to be separated from the laptop base. 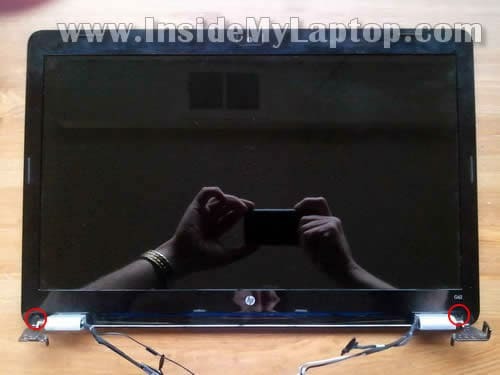 You can follow steps 1-21 in this HP G62 or Compaq Presario CQ62 disassembly guide. 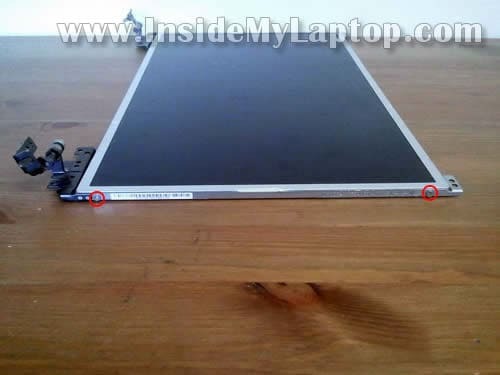 There are only two screws securing the display bezel to the display cover. These screws hidden under two screw seals in lower left and right corners of the display panel. Remove both screw seals with a sharp object. Glue them somewhere on the bezel so you don’t lose them. I’m using the guitar pick as a case cracker. You can use any other piece of plastic. Continue separating the bezel on the top of the assembly. Now separate the bezel on the bottom part of the display assembly. The bezel might be glued to the screen. Work slowly and carefully. 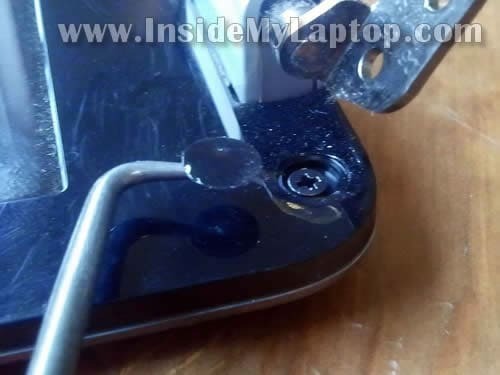 Remove two screws securing hinge covers. 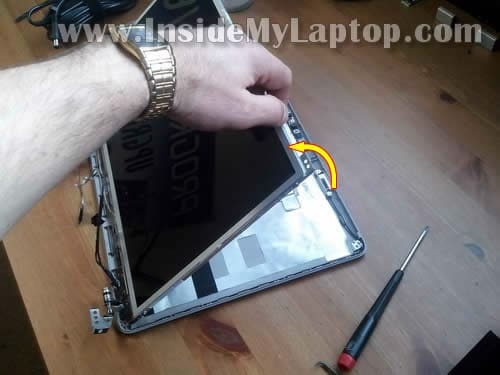 Remove eight screws securing the LCD screen to the display cover. 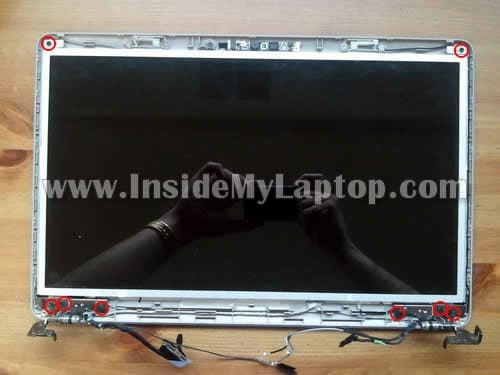 Carefully lift up the LCD assembly, separate it from the cover and place face down on the desk. 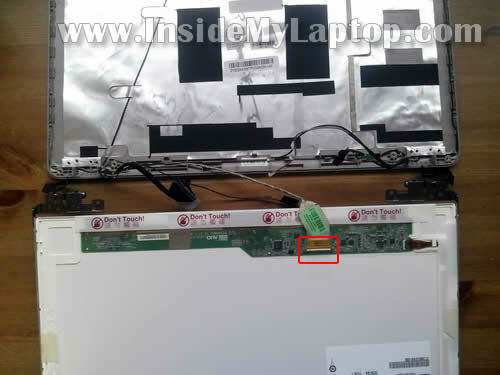 Remove the screen from the display assembly. Finally, remove two screws from the right hinge bracket. 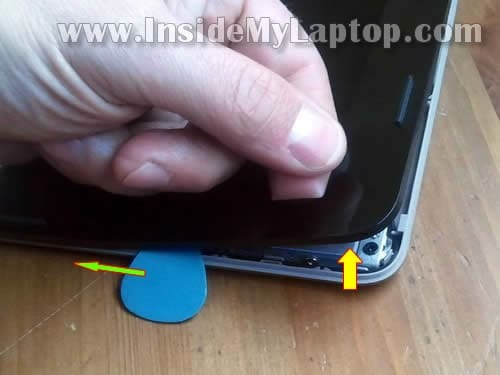 Remove the hinge and transfer it to the new screen. 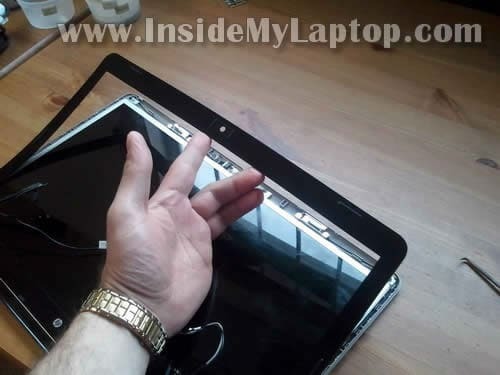 Do the same with the left hinge. Assemble display panel following backwards from step 12 to step 1. I was interested in converting Laptop to digital photo frame. But I was facing trouble in dismentling the laptop. this article will help me very much. I am very much thankfull to you. Can you tell me how to take the hinges off so I get get to the screws on the bottom of the bezel please, cheers. I don’t understand your question. I though I explained everything in the guide. This is a very big help. My screen is broken, so I need a new screen. I only don’t get the screws, but i’ll try on. Maybe you can tell me what sharp object you used? I did all of the steps and did not lose a screw, however, when i hit the power button, my computer wont go on. The blue light where it is charging is on, but the computer itself will not turn on. Please answer me, I use this laptop for school work and everyday some more work piles up. I will be extremely grateful if you answer this. Disregard my last question. turns out i messed up with one of the wires. I am so grateful to you for writing this guide, it really saved me. Amazing guide. If i had a credit card, (im 14) i would send $10 thru paypal. I actually feel bad i cant repay. thank you SOOOOO much! 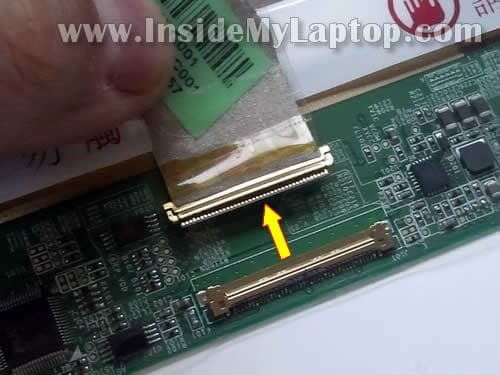 Hi WeWe, I just disassembled my G62, that circled part in question in your picture will need a soldering iron to get it attached, if you’ve never tried this tool before i would suggest you take the screen to a electronic repair guy (could also be your nextdoor hobby techie) and ask this part to be resoldered. Needs a thin soldering iron/gun and has to be done with a bit of care..easy job if you’ve attempted this kind of job earlier, will not take more than a minute..!! Thank you so much for this tutorial. I successfully replaced my broken screen. Very clear and well written.